What tank is that? (Original.) Click to make BIG. This is lucky, as copywriters must do stacks of it to be any good. So when it comes to looking stuff up, I’m pretty damn methodical. In flicking through one of my father’s photo albums, I found quite a few ‘in the field’ photos. I am intrigued by this one (shockingly fuzzy though it is) and thought that I would enlist your expertise to identify the type of tank. All we’ve really got to go on is the shape of the turret and the gun. I’m thinking it’s either a British Cruiser tank or a Panzer IV. I thought it might be a Panzer IV, but I believe most later models had a turret ‘bustle’ at the back – for radio and other gear. So I increased the contrast to see there’s no bustle on this tank. Then I thought it might be a Panther, and so cross-checked the profile. Long gun (if you deem the white bit in the photo as part of a gun). Gun holder (and position thereof). Tall commander’s cupola (which may have given the idea it was a British Cruiser). Then I checked Overloon, to see if there were any Panthers in the area at the time and, blow me down (or up)! So, from preliminary research, Panther seems a fair bet. Chris seemed pleased with progress. ‘By jingoes I knew that you were the man for the job! That photo from the Overloon war museum leaves me gobsmacked! 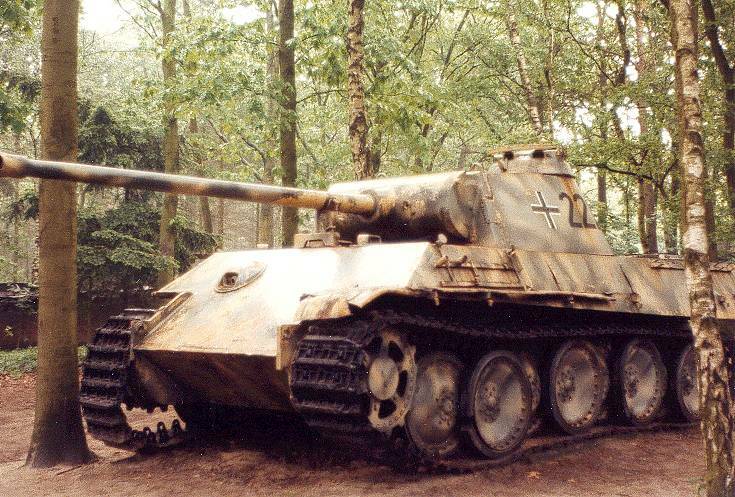 I did find this photo of a Panzer IV variant which I though fitted the turret profile (without bustle), but I think that the stepped profile of the front of the tank would have been apparent in the photo despite the background vegetation. 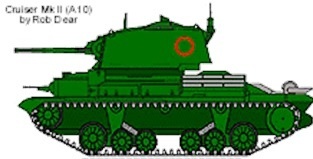 The silhouette in the photo does more closely resemble a Panther, for the reasons that you mentioned as well as the taper angle on the rear of the turret. I’m not ruling out the Cruiser Mk.II yet – look at the antenna arrangement (or maybe that’s just a tree in the background of the photo) and the ‘steps’ at rear of the turret. Then again the stepped profile of the front of the tank doesn’t match, nor does the gun length. I prefer to believe that it’s a Panther in the photo, though. Much more exciting! When a client is happy, so am I. Your antenna argument may have merit. If you say the word, I could post the mystery tank pic on Twitter with a request to crowd source its identity. Chances are, certain sections of my followers would be all over it. Or you could leave it for your readers to decide. ‘Yes, let’s crowd source it! 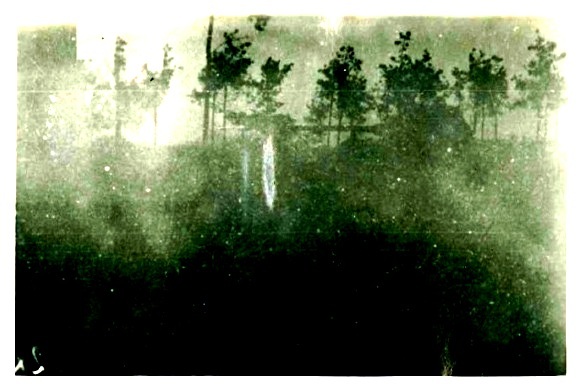 Attached is a higher resolution scan – you can zoom in and see that what we thought might be a gun support and aerial respectively are in fact trees in the background. 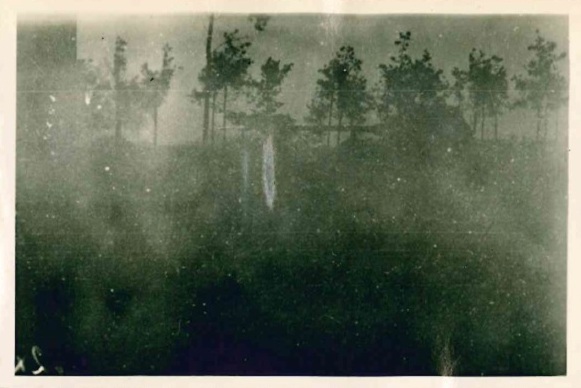 ‘The reason I mentioned Overloon is that on the same page of photos there are two references to that town – one in an inscription on a photo; on another photo, a road sign featuring that town’s name is visible. I’m happy for you to include all of this in a blog post. I’m almost certain that tank is a Panther, but not positive. What I do know for sure is that my readers know infinitely more than I ever will. And so I’m putting this mystery out there.